Popular media myths were in circulation over the weekend at the conference of journalism historians—signaling anew how embedded myths are in American media history and how difficult they can be to uproot. One presentation at the conference in New York City discussed Walter Cronkite’s standing in collective American memory and in media history. 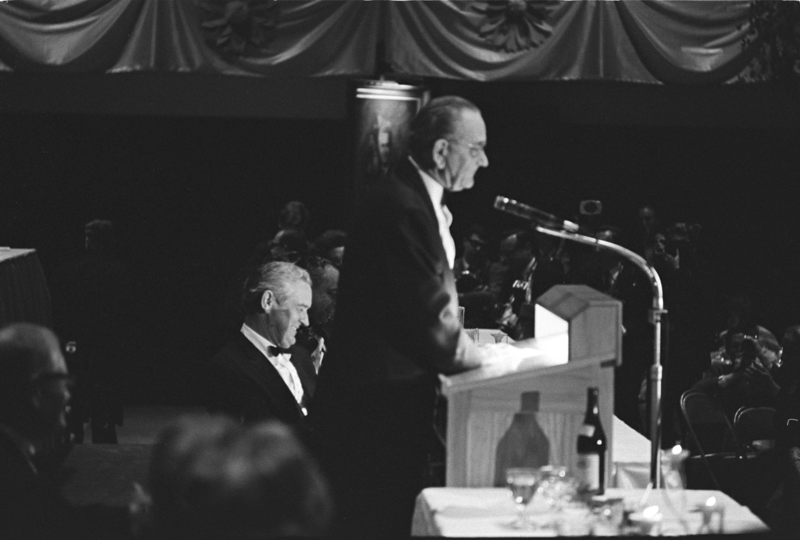 The presentation inevitably invoked the notion that the Cronkite’s on-air commentary in 1968 dissuaded Lyndon Johnson from seeking reelection to the presidency. Supposedly, Johnson watched Cronkite’s special report on CBS about Vietnam. Cronkite ended the program with by saying the U.S. war effort was “mired in stalemate” and that negotiations eventually might be considered as a way out of the conflict. As I’ve noted several times at MediaMythAlert, and as I write in Getting It Wrong, my forthcoming book about media-driven myths, Johnson did not watch Cronkite’s special report about Vietnam when it aired February 27, 1968. Johnson at the time was not in front of a television set but on the campus of the University of Texas at Austin, at a party marking the 51st birthday of one of his political allies, Governor John Connally. Nor is there evidence that Johnson later saw the Cronkite program on videotape. Not only that, but as I discuss in Getting It Wrong, there is scant evidence to suggest that the “Cronkite Moment” had much influence at all on public opinion about the war. Indeed, polling data “clearly show that American sentiment had begun shifting months before the Cronkite program,” I write in the book, which will be out this summer. Also heard during conference presentations was what I call the heroic-journalist myth of Watergate–the notion that the reporting of two young reporters for the Washington Post brought down Richard Nixon’s corrupt presidency. This is a trope that even Post officials have dismissed over the years. The conference in New York was Saturday, and was sponsored by the History Division of AEJMC and the American Journalism Historians Association. AEJMC is the acronym for the Association for Education in Journalism and Mass Communication.